It’s time to upgrade from the lone trash bag in the front seat. Using a cereal dispenser will protect your car from potential leaks and spills, as well as keep trash structured and contained. The dispenser’s lid will ensure trash will not fall out while driving. How frustrating is it when you’re looking for the oil or air conditioning coolant and not being able to find it? Instead of letting fluids roll around the backseat or trunk, likely to be spilled or squished, simply store them in a shower-caddy. This way you can have all your essential fluids in one spot for your convenience. No more colored pencils and books scattered over the back seat of the car. This trick is perfect for organizing kids toys and crafts within arms reach. It can also double as a seat protector from potential spills and damage. Somehow quarters seem to seemingly disappear into a black hole right when we’re about to park. Slipping under the seat and between cracks, it’s easy to lose track of pocket change. Instead, simply keep your quarters in a small pill bottle, which will be easier to spot and keep quarters in one place. Where do things go when they don’t have a place? The trunk. Installing an easy DIY removable shelf will not only give you more room, it will help you keep your stuff organized. 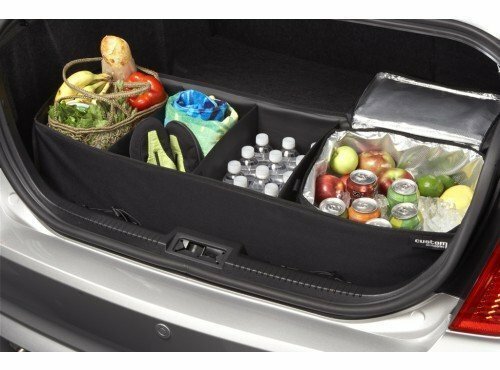 You can easily hide valuables and organize objects into their own compartment. Another option along the same lines is to get an inexpensive, 4-compartment storage divider. While these tricks help with the inside, DentGoalie car door guards will help you keep your car protected on the outside. Recently featured by AAA, DentGoalie car door protectors are flexible door ding protection panels that are applied only when parked. 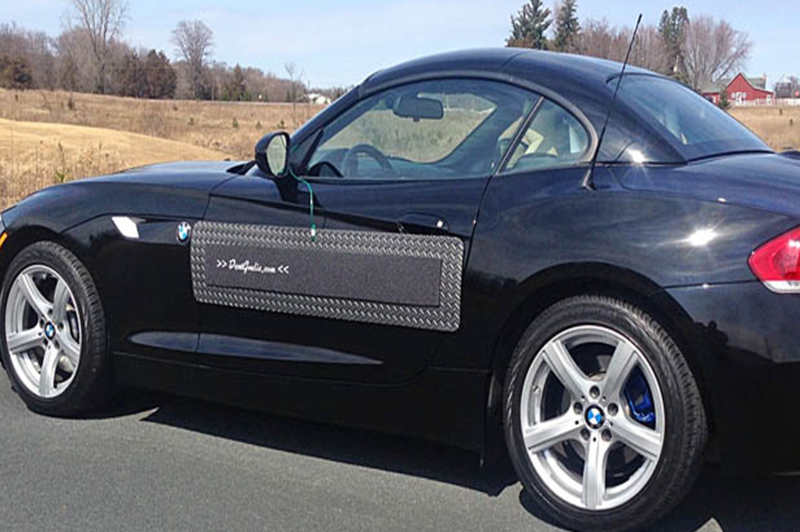 They have a patent-pending design delivering very broad protection along the sides of your vehicle. 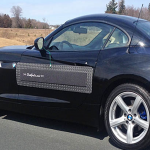 Constructed of a high-density, impact-resistant EVA foam with rubber coated magnetic strips, these protection panels for cars include a security cable to deter theft of the panels. DentGoalie offers two sizes for these car door panels and they are universal — meaning they are for use on all vehicles.